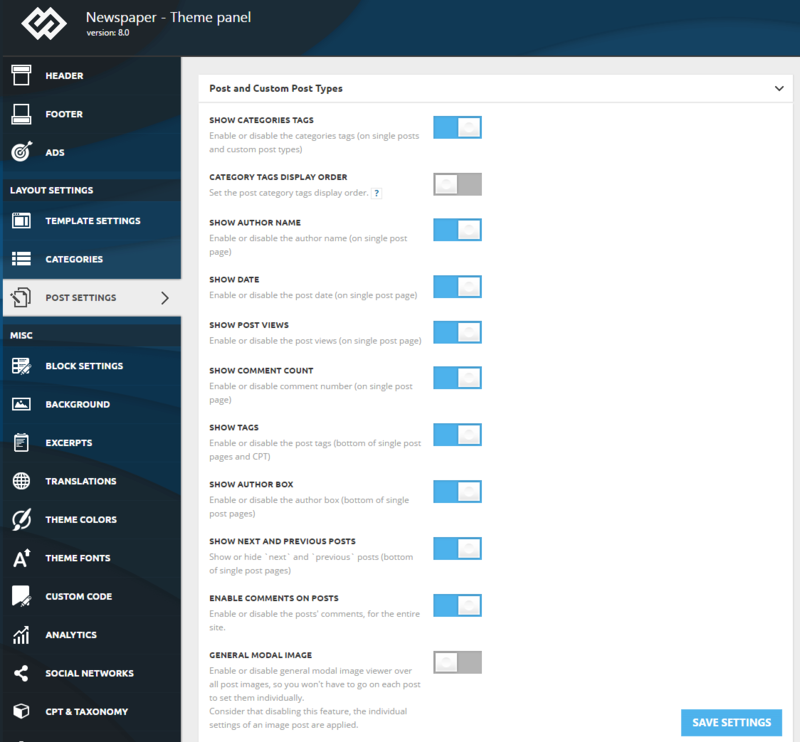 Individual post settings (called Page Options) – you can apply them individually for each post. You will find these options under your post while editing. Enable comments on posts – This option allows you to enable or disable the comments for the post, on the entire site. Newspaper comes with this option disabled by default. General modal image – Enable or disable general modal image viewer overall post images, so you won’t have to go to each post to set them individually.